Your formatted resume for free you found here, so help your friends by telling them where to find us. Download a template--then click save--save in Desktop-- same file name will be fine. I always save to my desktop. Easy to locate until I am done with it and then I put it in it's proper place in some folder. Use these 3 resume formats used most when creating your resume the first time. They all have a nice look to them form wise anyway. I think they all make the information stand out. When you first glance at it, your qualifications just pop right out. No trouble at all finding what you want quickly with these resumes. 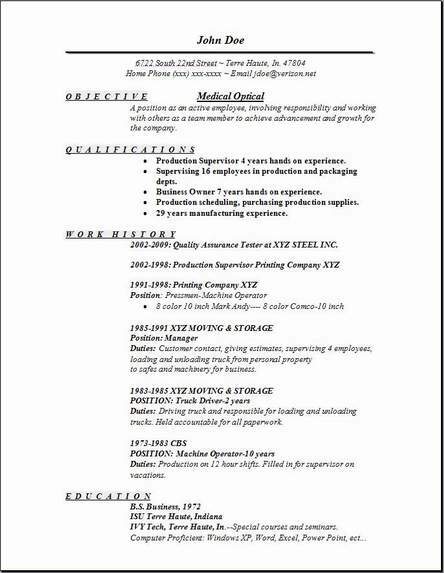 After all, that's what you want, once you edit this resume with your own information, you want it to be easy to read and understand. Recruiters do not like to hunt for information. They like it presented to them in a 1,2,3 order so they won't have to fish for it. And you really can't blame them, so keep it simple and informative. Visit some of the other pages to get some other good ideas of formatting your resume. 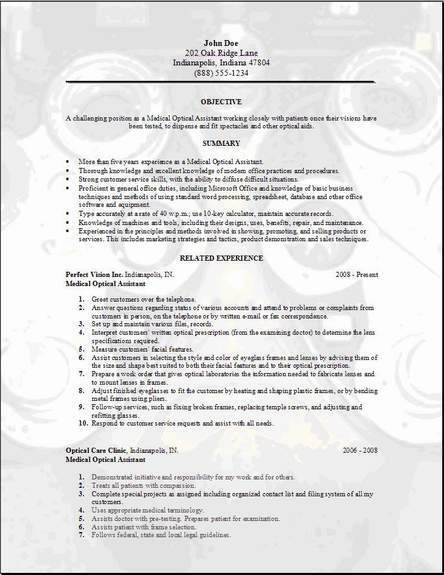 The medical resume template above has an addition of a background picture. Hope you like the choice if not feel free to change it to one of your own, it is only an example for effect. If you download them all and edit them all, then compare what you have when you are done, I am sure you will be satisfied. Let me know by visiting the contact us page and send feedback. I would love to hear your comments on the picture background. 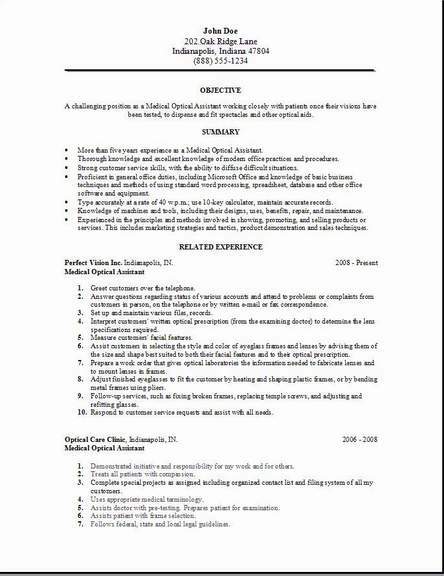 If you happen to have a nice medical optical resume, then send it to me and I will put it up as an example resume. All private information removed. Thank you in advance.